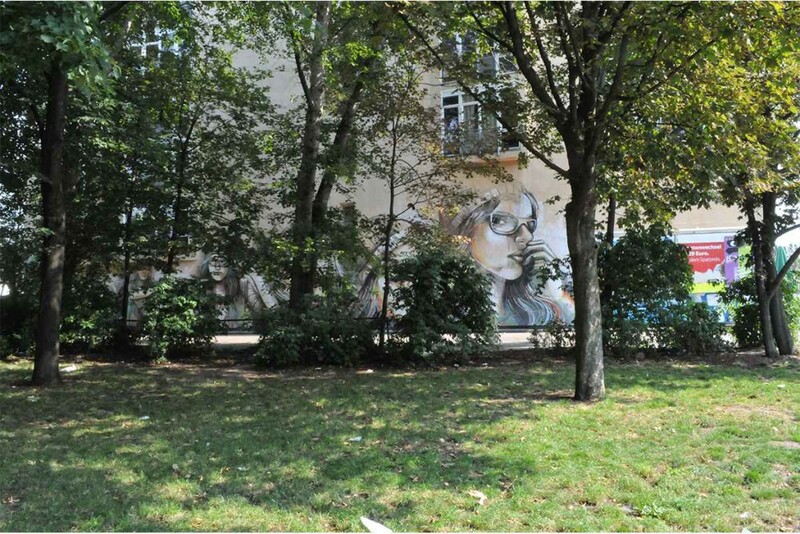 Berlin…A word which came to be synonymous with the terms of diversity, urbanity, and street art. A city that breathes through its street art, exuding life with every wall, corner of a house, bridge pier, tunnel and roadside embellished with this vivid form of artistic expression. Dubbed as the graffiti Mecca of the urban art world, Berlin boasts this title with pride and merit. 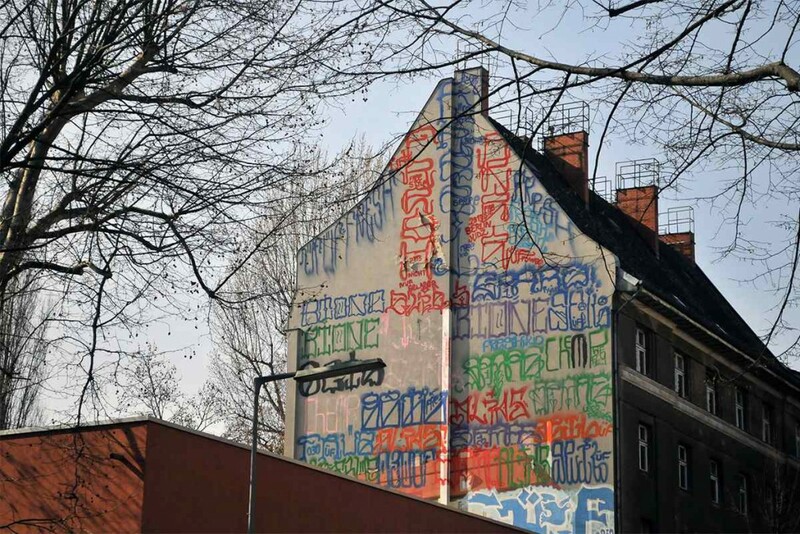 From the tumultuous times of the 1970s and 1980s, over the downfall of the wall, up until the present day, Berlin street art has grown from a few trailblazing graffiti and tags, to a status of an industry. 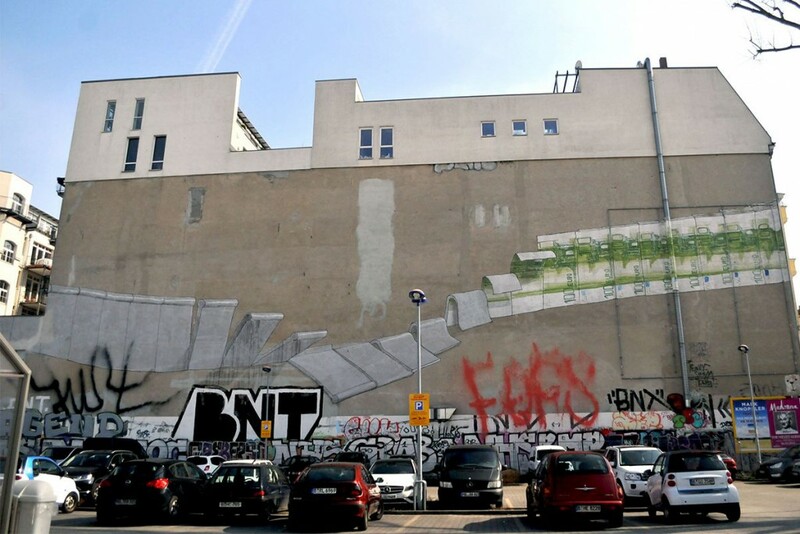 And, even though it still does represent some of the most visceral and honest artistic expressions, street art in Berlin has undoubtedly become a very successful and exciting industry. 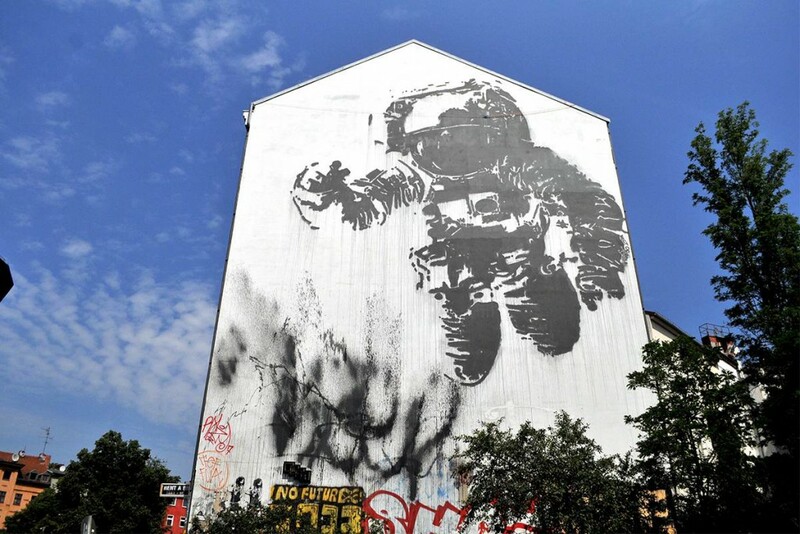 With UNESCO proclaiming it as the City of Design, Berlin became the hub for the world-renowned street artists, welcoming an array of amazing creators to leave their mark on the streets of this European capital. With its rich history full of turbulent times, world-changing upheavals and the inevitable urbanization, the city of Berlin has grown, and continues to grow into this epicenter of urban life. It is now a treasury of street art gems, waiting for you to discover and experience the real stories behind them and the urban soul of this megalopolis. 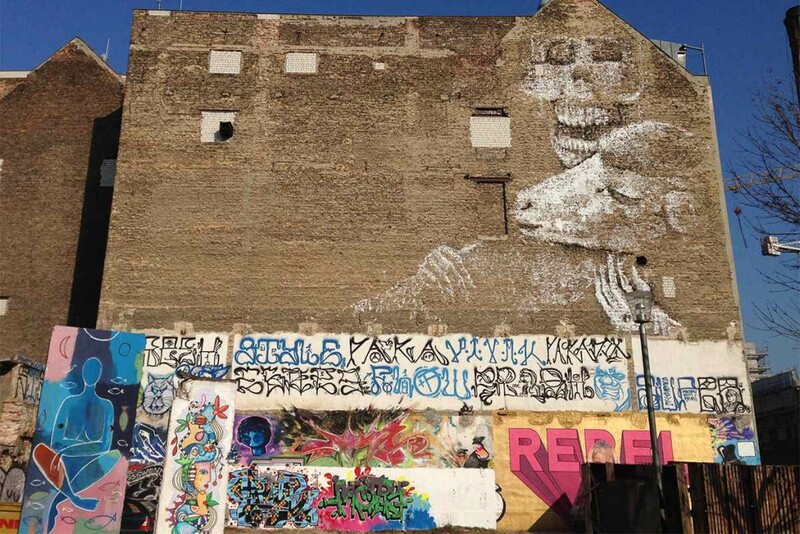 Let us embark upon this journey and we will guide you through the most epic pieces of street art Berlin has to offer, but keep in mind, the pictures don’t really do the artworks justice, they crave to be seen and absorbed in situ. 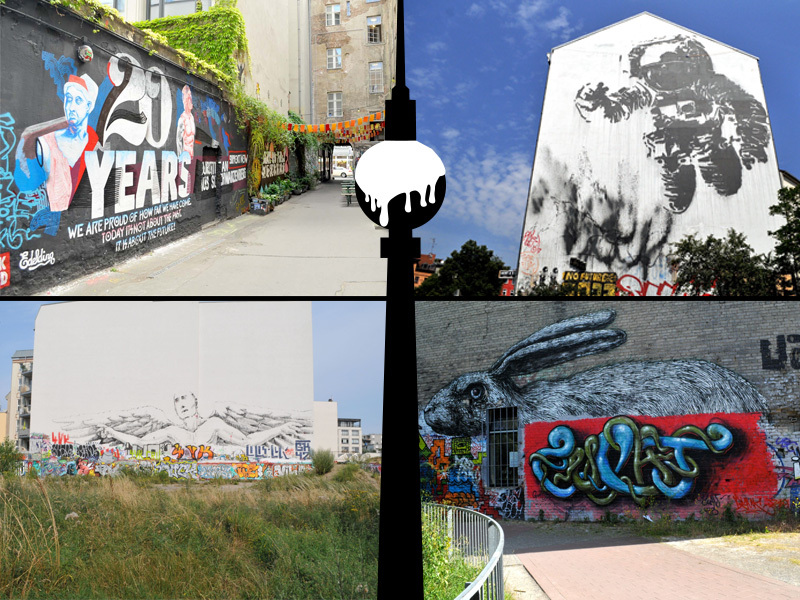 Plus, we’ve kept some of the coolest pieces on the map a secret, which we unveil only to our tour visitors, so make sure you book a tour with us and experience the Berlin street art at its best! In the district of Moritzplatz, AgostinoIacurci created this very colorful and vivid mural as part of the We Are Creative in Puglia event. Done in his signature style, the bright multi-layered image shows synthetic shapes of two faces confronting each other. Both day and night are overlapping in the contrast of bright and dark colors, with luscious yellow and green growing in between. Celebrating the 25th anniversary of the fall of the wall, this present from the Italian region Puglia to Berlin signifies the human aspect of the unification. 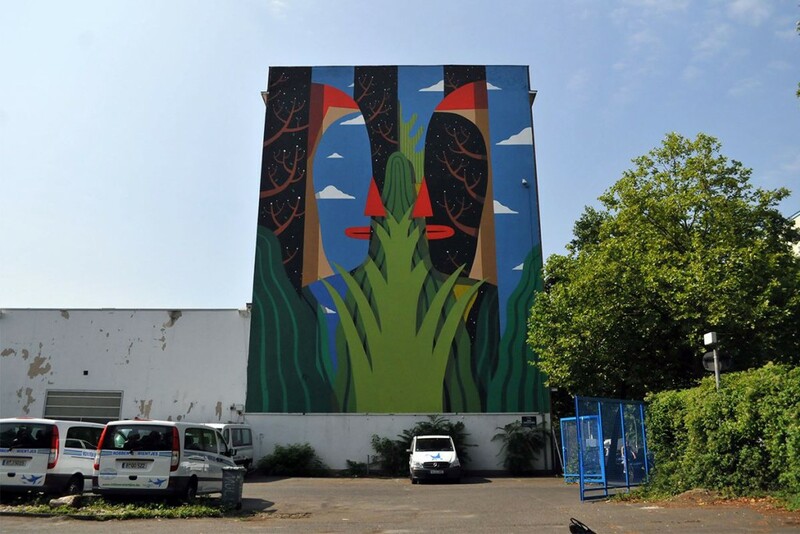 As a way of bringing together the idyllic aspect of nature from Puglia and the urban character of Berlin, this amazing artwork serves as a token of communication between the international capital of Berlin and other places from around the world. 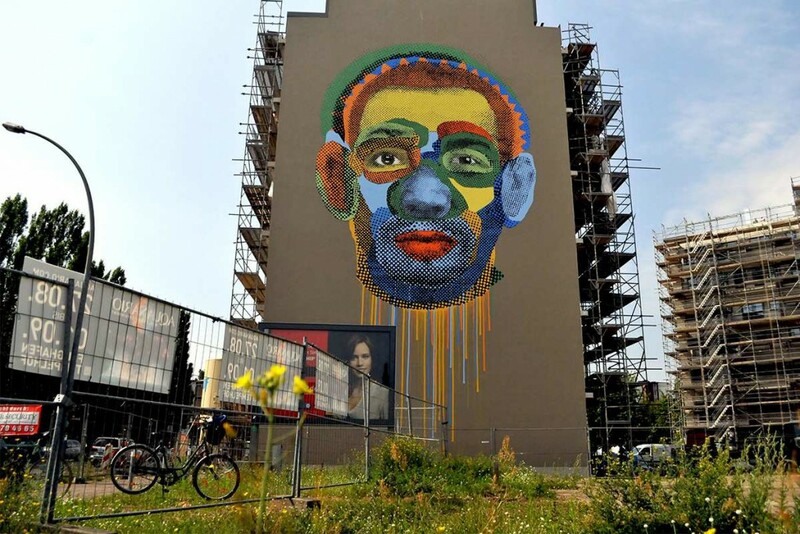 This exquisitely vivid mural became an essential addition to the street art DNA of Berlin, creating a dialogue between the Italian region and the German city. Based in Berlin, Alaniz is an Argentinian contemporary creative known for his captivating murals. His mark can be seen on the streets of Paris, Rome, London, Mexico City, Madrid, Guatemala, Ibiza and many others. But, there’s no place like home, and some of his best works can be found right here in Berlin. At the very core of political and societal engagement, street art of Alaniz shines through with poignant messages and astonishing style. 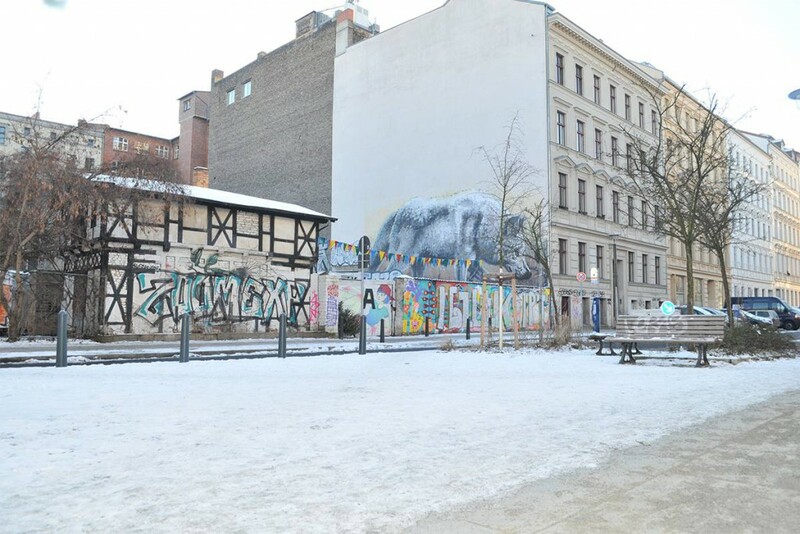 The artist firmly believes that art should be designed in a form of a dialogue between the creator and the viewer, and this particular piece, located in the Köpenickerstreet, certainly evokes a dialogue. With just the right amount of subtlety of the material and the theme portrayed, the piece depicting a sheep being cradled by death, leaves a bitter aftertaste that lingers on within the viewer. Just underneath the piece of Alaniz, there’s the recognizable work of the notorious Berlin Kidz. It is not unusual to see a variety of different artists having their artwork on the same location, some of them collaborate, but mostly it is just the increasing lack of space that’s left to be marked in the urban jungle of Berlin that causes several artworks to be made right next to each other. Berlin Kidz are famous for their daredevil spirit which takes them to quite unreachable spots and dangerous locations, always risking getting caught and falling into trouble. After all, for many street artists, it is the adrenaline rush and the feeling of creating artwork illegally that drives them forward. Designer and illustrator living and working in Berlin, Andreas Preis is a versatile creator who had the opportunity to make his mark on the Berlin Wall at YAAM. Having previously worked with some of the most prominent companies such as Adidas, DC Comics, ESPN, Microsoft, Nike, and many others, Preis has more than proven his skill level is unquestionable. Since YAAM has been one of the biggest meeting points for enthusiasts of music, art, sports and social events for more than 20 years now, it’s quite a cool spot to be embellished with some artwork by Preis. 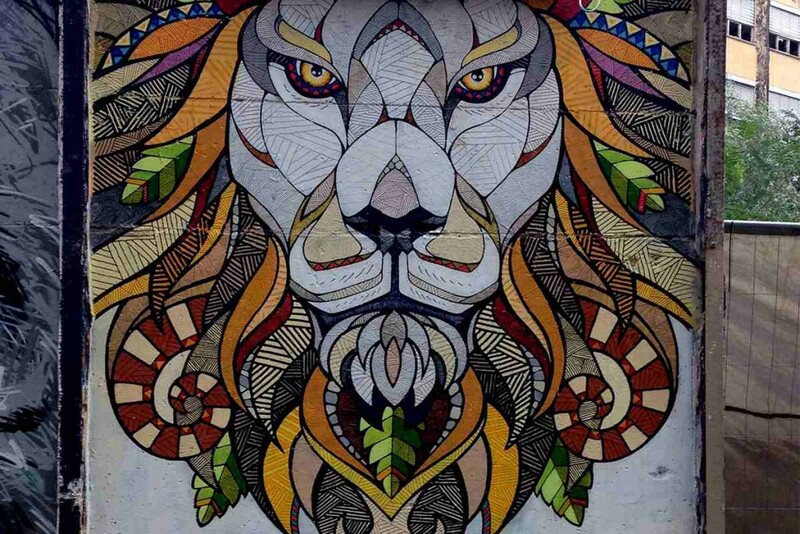 The lion mural is a very intricate piece which showcases the artist’s exquisite skills and dedication to his work. The penetrating gaze of the beast stares deep into your soul as the vibrant colors around it bring to mind the African origin of the animal. Another street art name from Italy left a unique mark in Berlin, along WarschauerStrasse, next to the Oberbaumbrücke. Alice Pasquini made a huge mural of six figures lining up on the long wall. The project was dubbed Suspended and it shows Pasquini’s signature style and art that is focused on people and their relationships. Exploring different points of view, the young woman from the artist’s sketchbook found her place on the side of this long surface. After 6 days of work, approximately 150m2 were covered with Pasquini’s stunning art. Representation of women, their strength and independence, has been an important focus in her work. This “little” present she made for Berlin certainly celebrates her dedication to femininity. He is often dubbed as Berlin’s Banksy, but let us presume all artists prefer to consider themselves original, or at least as having their own creative persona rather than being a different version of an already existing one. Either way, Alaniz has quite a unique style which is considerably different than Banky’s. Another example of that would be the cool piece he made in SchwedterStraße. An awesome depiction of a wolf prowling on a side facade of a building is quite a sight to behold. Even though he tries to remain anonymous and avoids revealing his full identity, he does not see his art as something illegal. Alaniz refers to his work as a favor for the community, stating that he makes them look better. One cannot but agree with him, after all, just imagine the grayness and dullness of Berlin had it not been embellished with all the street art which makes Berlin what it is. Since Berlin is often considered as the youth capital of Europe, The Wrinkles of the City project had an even deeper meaning to JR and the people of Berlin. The grand-scale project was designed to portray the elderly people, those who have lived through the changes and the upheavals of their cities. To capture a moment and an expression of their history which is forever-bound to the streets they’ve lived in. Quite interestingly, this particular piece, located in Invalidenstraße, does not display a portrait, but a hand. 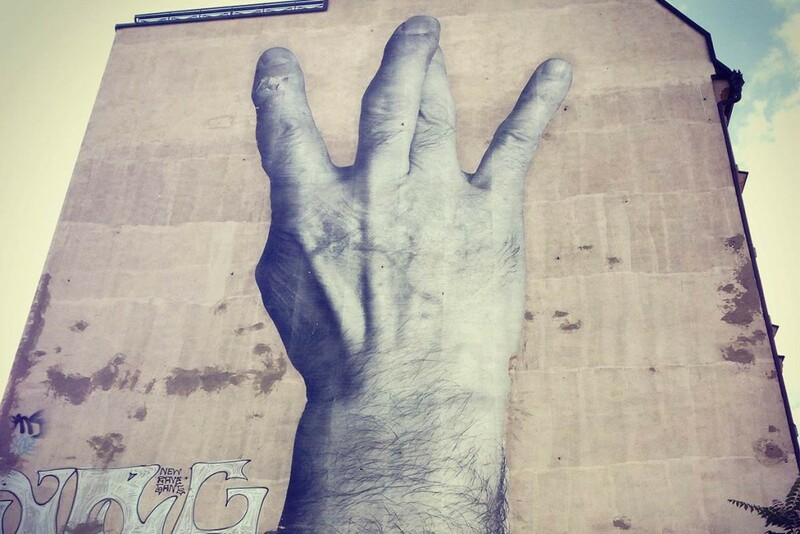 The hand is holding up a sign, usually symbolizing the “West side”, and it is evidentthe hand belongs not to any young gang member, but rather to an elder person who had probably witnessed and lived through the division of Berlin, and the glorious unification of the East and West. Now, here’s something a bit different. Karl Addison is quite a unique individual considering the style and techniques he employs in his street art. Using a hatch drawing style, he effectively utilizes fine lines and details to produce diminutive constructions that unfold together to form a large-scale illustrative mural. 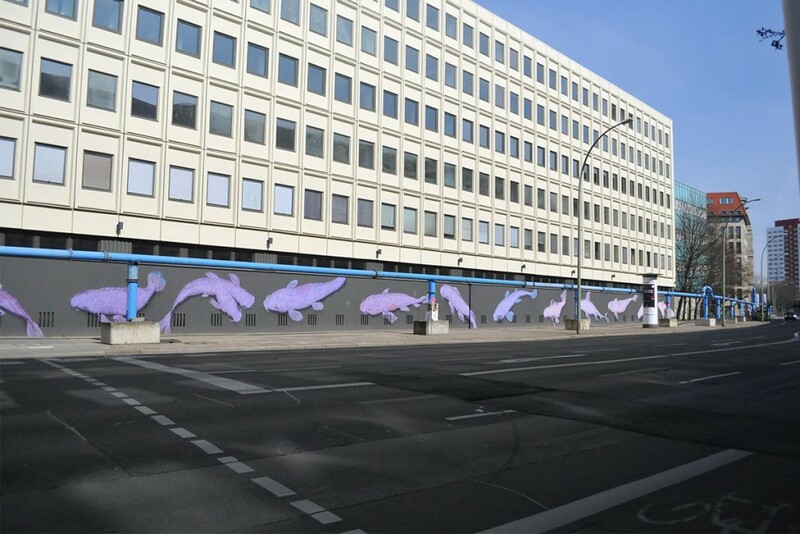 This stunning piece in Klosterstraße is dubbed 14 Tails and it was created utilizing a mixture of the Screen Printing theory of grapping he uses for his drawings, and his way of painting with the use of Color Theory. The resulting depiction of Koi Carp is stunning. The vibrant colors against the black background really pop out, bringing these oversized fish to life. The mural is absolutely beautiful and a real gem of street art done in a unique way. The artist also runs the Idrawalot Gallery in Berlin, offering artists a residency in the city and a wide variety of mediums and disciplines. Sure, there are much newer and infinitely more modern neighborhoods and treasuries of street art to be seen in Berlin, but there is still something quite captivating hiding in the old remnants of Haus Schwarzenberg. Even though it was built in the same way all the surrounding buildings have been built, this place has succeeded in retaining its original post-war condition, as much as it’s possible. Through a long and tumultuous history, the property has gone through various stages. From a factory that hid Jews during the war, to a living commune, to a movie and television office, and ultimately to a commercial landmark, Haus Shwarzenberg has become an important beacon of history and society’s progress of Berlin. Layers upon layers of street art have also made their mark on this interesting spot. Run by a nonprofit organization, the authentic space has become a flourishing ground for creativity and artistic expression. A unique collection of street art can be found in this hidden gem, with a variety of creators who left their mark on the mystical property. The street art duo Various and Gould spent 12 days creating this remarkable mural which stands only 80 meters from the location of the former Berlin Wall. The artwork itself mimics the ever-growing diversity of the city and celebrates its mix of various influences, merging together cultural impacts from all over the world. It is the duo’s first artwork made for Berlin and it’s quite a piece! As in their previous oeuvre, the ambiguity of the portrayed figure is intended to provoke questions of identity, origin and challenge our perception of character. 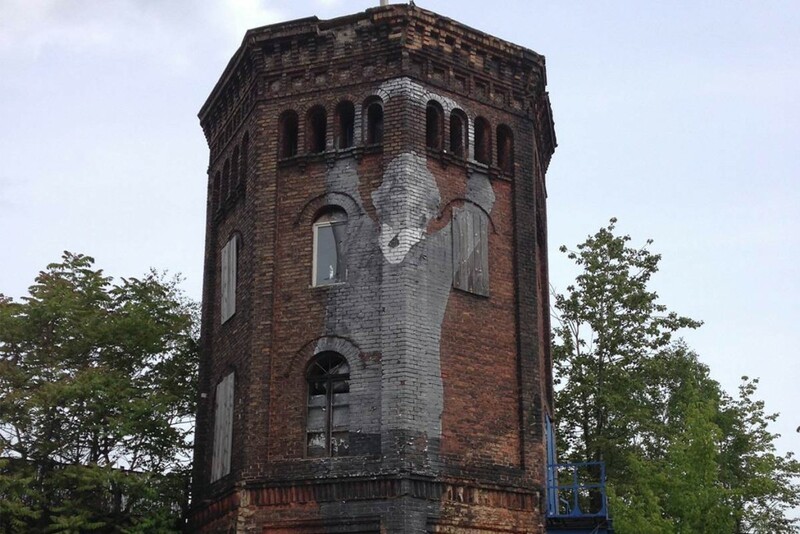 Interestingly, this has been one of their biggest endeavors, and friends, and even strangers joined the artists to help paint such a large-scaled piece. Quite surprised by the generosity and kind-heartedness of random strangers, Various and Gould were happy to have them contribute to the majestic piece. Their technique of halftone dots requires a lot of hard work, but it certainly pays off in the end. Created as part of the duo’s same-titled series “Face Time”, the one made in Berlin certainly takes the title as the greatest one! Two of the most prominent street artists with their works right next to each other? Yep, it’s YAAM. Creation through destruction may be too simple, but a fitting way to describe the unique work of Vhils. Without exaggeration, his art and creative process is mind-blowing, and at the very least fascinating. Levi’s collaborated with the Portuguese artist to create a series of street murals for their campaign entitled Go Forth, where the artist was to create a series of portraits of local “modern day pioneers”. One of them landed right here at YAAM, overlooking the riverside. Layer upon layer of stencils and paste-ups, all making up an intricate collage, or even a mosaic, of various influences, styles, messages and artists. Graffiti Wall of Fame in Berlin is one of the monumental landmarks on any tour, for it is a long-standing testament of the urban culture which prevails in the city. From kanji characters and Stanley Kubrick, to Charlie Chaplin and various recognizable symbols of pop culture, a plethora of images and famous visuals have found their place at the Wall of Fame in Berlin. You could spend quite some time trying to discern and figure out each and every symbol, celebrity and image hiding in this overlapping collage of street art. Take your time exploring it, next time you visit the wall, some new layers might be covering up the old ones, always keeping the Wall of Fame fresh and interesting. No matter how popular it might have become, nor how profitable it might be to some, street art remains as one of the sincerest forms of expression of the creative spirit. It bypasses the institutionalized norms of the art world, it does not care for the critics, galleries, museums or art dealers. The shortest way from the artist and the public, the quickest way to establish a connection between the artwork and the viewer, is through street art. Once the tag is on the wall, once the mural, stencil, graffiti, or any other form of street art is created, it is there for everyone. No admission fee is required, no tickets or reservations are needed, just a little bit of right information, adventurous spirit and an open mind is all you need to enjoy the magical world of street art. We’ve just given you a glimpse of some of the best pieces from the mesmerizing city of Berlin, but to truly experience street art as it was meant to be experienced, you must witness it, absorb it, view it as an integral part of the urban soul of the city.